Utah is a place of beautiful extremes and nowhere is this more apparent than the weather. As a Utah resident, you'll face incredible cold and extreme heat -- but while winters do slow, lasting damage to your roof, it's the summers that can bring the greatest danger from the wildfires that plague the western US during this season. Luckily, there are a few things you can do to make sure your roof is as ready as it can be to resist these catastrophic and random events. It seems like an obvious step, but clearing away leaves, branches, and other potentially flammable material from your roof is the first and best line of defense against fire. Make sure your gutters are also free of any kind of plant material. The biggest danger from fires comes from airborne embers, or firebrands, as they settle on the roof and smolder. By reducing the amount of flammable building materials for firebrands to come into contact with, the greater your house's chances are of staying intact. Wood siding is a major potential point of ignition, and the firebrands also accumulate along the bases of walls-- by using fire-resistant materials at these locations, the firebrands will burn themselves out to no effect. Firebrands can be as small as snowflakes but hundreds of times more dangerous -- winds can lodge them in between tiny gaps in your roofing tiles where they'll burn underneath your roof's protective layers and potentially ignite wood underneath. Blocking these gaps can be a meticulous process and is best left to a professional roofing company. Not all roof materials are designed to resist fire! Older materials and wood-based materials are a particular risk. The fire resistance of roofing materials is rated through three classes, A, B, and C -- only Class A materials are recommended by major housing insurance houses for fire protection. 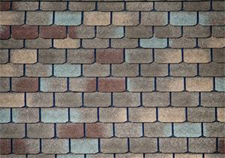 Examples include asphalt fiberglass composition shingles and concrete or clay tiles. Protech Roofing of West Centerville uses only Bartile roofing solutions, which easily surpass the requirements of a Class A safety rating-- these industry-leading roofing materials are completely incombustible! They're also backed by an incredible 75 year warranty (way, way above industry standard) and come in many styles and colors to suit the individual look of your home. If you've discovered your roof doesn't live up to the fire safety standards it should be meeting, you'll find no better replacement than a Bartile roof from Protech Roofing. Call them today at (801) 691-7720 and be sure to ask about these money-saving special offers!